Springtime is officially here. And along with it comes the fun of sun-soaked, beach-filled days and evenings spent by the grill gobbling up cheeseburgers, hotdogs, and an assortment of homemade pies and treats. With such abundant deliciousness, it’s easy to – on occasion – overdo it. If you do, the temptation is to reach for a bottle of Tums and try to make it go away. But there are good reasons not to do this – and four better options for helping your gut digest all that food. Tums, as you may know, helps neutralize the acid in your stomach so it doesn’t move up your esophagus, where it burns the tissue lining this tube. This is the classic understanding of heartburn. But it’s not always accurate. And taking Tums after you eat a big meal might do more damage than good. You need stomach acid to break down the food you eat. When you neutralize the stomach acid, you don’t have anything to break down the food. So it begins to move through your body undigested. Undigested food can cause all kinds of problems, including leaky gut, food allergies, and a host of other digestive issues. But that’s not the only reason to avoid Tums. Tums works because its main ingredient is calcium carbonate. This, like baking soda, is basic. Expose it to the hydrochloric acid in your stomach, and the carbonate group binds to the hydrogen, neutralizing the acid. But there’s a big problem. When the carbonate binds to the hydrogen, it frees up calcium ions, which are easy for your body to absorb. I’ve warned you in the past about taking too much calcium. And Tums and other acid blockers are a primary source of calcium for many people. Your body needs a little calcium for bone and overall good health. But give your body too much, and it becomes toxic to the heart and kidneys. It can lead to kidney stones, calcification of your arteries, and heart attacks. So how can you treat heartburn without taking Tums? Obviously, eating smaller portions, walking after you eat, and avoiding fried foods can help. But there are other ways to treat heartburn. One thing I love about this first natural treatment is that it can help you fight heartburn while you sleep. Many people struggle to sleep because of heartburn. And melatonin can help both. As you may know, melatonin is great for sleep, immune function, and cancer prevention. But the benefits don't stop there – it also cures chronic heartburn. A recent study examined 350 patients with GERD. Doctors gave half the patients 6 mg of melatonin along with some common nutrients. They gave the other half a maximum dose (20 mg) of omeprazole, which is the drug used in Prilosec and some generics. Many doctors believe omeprazole is the best drug out there for GERD. But it couldn't even compete with melatonin. After 40 days of treatment, every single one of the melatonin patients was free of all systems. None of them had any side effects. But only 65.7% of the omeprazole group was symptom-free. And some of them actually ended up worse off than before – 1% had to stop taking the drug because of the persistent headache it gave them, 4% had diarrhea, and 1.7% developed high blood pressure. Once the study was over, the doctors decided to let the 60 patients still experiencing symptoms give melatonin a chance. And after another 40 days, every single one of them was free of symptoms. Clearly, melatonin is very effective against GERD. Here's why: your body makes melatonin in a couple of different ways. One way is in your brain, in response to sunlight. But your body also makes it in the enterochromaffic cells in the intestinal tract. In fact, these cells typically make 400 times more melatonin than the brain does! And your intestines then release it when you eat, to great effect in the gastrointestinal tract. Melatonin prevents ulcers, stops an overproduction of stomach acid, prevents intestinal infections, promotes ulcer healing, and increases circulation. It also reduces nitric oxide synthesis in the esophageal sphincter. Nitric oxide causes the sphincter to relax and allows stomach acid to reflux up into the esophagus. This is a major mechanism of reflux in patients with GERD, and melatonin corrects it. 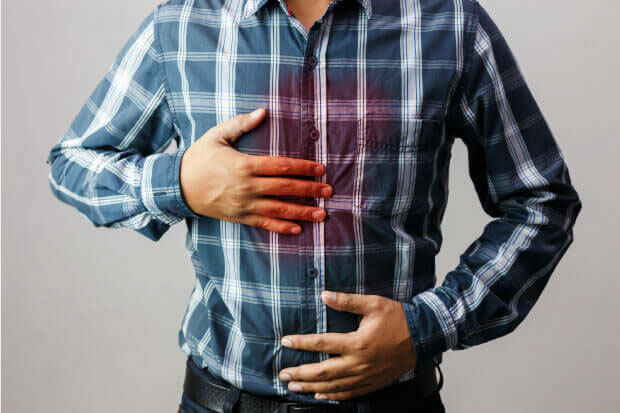 As uncomfortable as GERD is, it causes more problems than just heartburn discomfort. It also can cause vomiting, difficulty swallowing, chronic coughing, and hoarseness. You definitely want to beat it. So try taking at least 3 mg of melatonin before you turn to any prescriptions or over-the-counter drugs. It works better and has almost no side effects, other than drowsiness and possibly grogginess. Melatonin is truly a fantastic miracle for many heartburn patients. But there’s another nutrient you can take with melatonin to make it work even better – and perhaps even faster. That nutrient is d-limonene. D-limonene has a fantastic reputation as a cancer fighter. But this extract from citrus peels is an extremely powerful digestive aide as well. Two recent studies show just how effective it is. In the first study, researchers asked 19 adults to discontinue their over-the-counter or prescription medications and take D-limonene instead. All of these adults had suffered with mild to moderate symptoms of heartburn or GERD for at least five years. The researchers then asked the participants to rate their pain on a scale of 1 to 10 (1 meaning pain-free, and 10 equaling severe pain). All of them said their pain was at 5 or greater at the start of the study. After taking D-limonene for two days, 32% of the participants were symptom-free and rated their pain at a 1 or 2. That's right, nearly one-third of the participants had complete relief in just two days! But that's not all. After 14 days, an amazing 89% of the participants didn't have any symptoms. They were completely pain free! The second study was just as impressive. 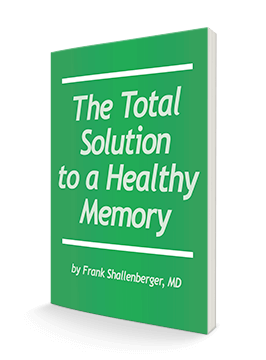 It was a double-blind, placebo-controlled study with 13 participants. They followed the same symptom severity scale and took D-limonene for two weeks. By the fourth day, 29% in the D-limonene group didn't have any symptoms of heartburn (a 1 to 2 rating). All of those in the placebo group still had the same pain rating. By the 14th day, 86% of those taking D-limonene said they had complete relief and were pain free. With nearly 90% of these participants experiencing complete relief in just two weeks, D-limonene is definitely worth trying all by itself. But couple it with melatonin and you may experience relief even faster. Another cause of heartburn that most people don’t consider is the drugs they’re taking. One of the most common culprits is metformin. If you have diabetes, you’re likely familiar with this drug – and the heartburn it can cause. Metformin has a place in diabetes treatment. But if you’re taking it, you have to control the heartburn. One study shows us how to do so. In this new study, researchers wanted to find out if diabetes drugs changed the patients' gut bacteria. They looked at 784 people. Some of them were healthy; some of them had type-2 diabetes. Surprisingly, they found out that metformin caused favorable changes in the gut bacteria of type-2 diabetics. But it didn't stop there. Other studies have shown that metformin causes adverse effects on the gastrointestinal tract. Many people who take this drug suffer from bloating and increased flatulence. These are not comfortable problems. And they're also not signs of improved bacterial function. So what gives? How can metformin cause favorable changes in the bacteria, but still cause GI problems? The study provided the researchers with a possible explanation. First, the changes the metformin made in the gut bacteria made the bugs better at sugar metabolism. So that's good. However, patients treated with metformin have more coliform bacteria in their intestines. While most medical professionals don't consider coliform bacteria dangerous, it can cause bloating and gas. So it's not completely benign. The reality is diabetics who take metformin have different gut bacteria than healthy individuals. As the researchers discovered, this can have both good and bad consequences. That means diabetics must take a probiotic to help negate the negative effects of the different bacteria. And taking enzymes will also help you avoid the bloating, gas, and heartburn issues. Probiotics and enzymes are a natural part of the digestive process. If you have heartburn, something has upset that natural process, and it’s important to reset the balance. A Bonus Natural Treatment: If none of these natural treatments work for you, there’s one other nutrient you can try: magnesium. Magnesium works so well, drug makers use it as an ingredient in many of their medications for acid reflux. Antacids frequently combine magnesium hydroxide or magnesium carbonate with aluminum hydroxide or calcium carbonate. These mixtures can neutralize acid and relieve your symptoms. Taking up to 1,000 mg of magnesium daily can help keep heartburn at bay. Pereira S. "Regression of gastroesophageal reflux disease symptoms using dietary supplementation with melatonin, vitamins and amino acids: comparison with omeprazole," Pineal Res. 2006 Oct;41(3):195-200. Wilkns, J. Jr. "Method for treating gastrointestinal disorder." U.S. 19. Patent (642045). 2002. Kristoffer Forslund, Falk Hildebrand, Trine Nielsen, Gwen Falony, Emmanuelle Le Chatelier, Shinichi Sunagawa, Edi Prifti, Sara Vieira-Silva, Valborg Gudmundsdottir, Helle Krogh Pedersen, Manimozhiyan Arumugam, Karsten Kristiansen, Anita Yvonne Voigt, Henrik Vestergaard, Rajna Hercog, Paul Igor Costea, Jens Roat Kultima, Junhua Li, Torben Jørgensen, Florence Levenez, Joël Dore, H. Bjørn Nielsen, Søren Brunak, Jeroen Raes, Torben Hansen, Jun Wang, S. Dusko Ehrlich, Peer Bork, Oluf Pedersen. Disentangling type 2 diabetes and metformin treatment signatures in the human gut microbiota. Nature, 2015; DOI: 10.1038/nature15766.